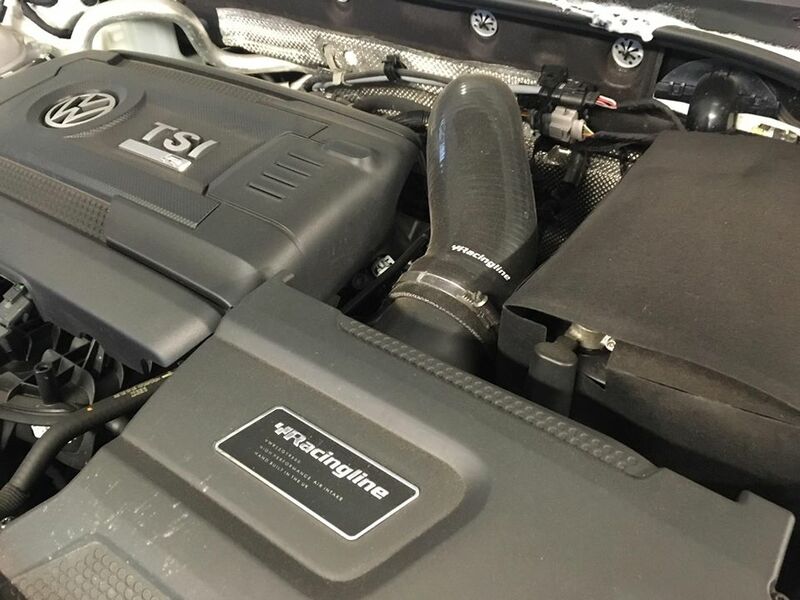 The VAG range of cars built on the MQB platform with the 1.8TSI and 2.0TSI EA888 engine opens up a whole new world of tuning opportunities. The 2.0TSI can be found in many hot hatches, to name a few we have the MK7 Golf GTI and the R from VW. Audi give us the new A3 and S3. Seat deliver the package in the Leon FR and Cupra models whilst Skoda has the Octavia vRS. The list is by no means complete and is always growing as the MQB platform develops. 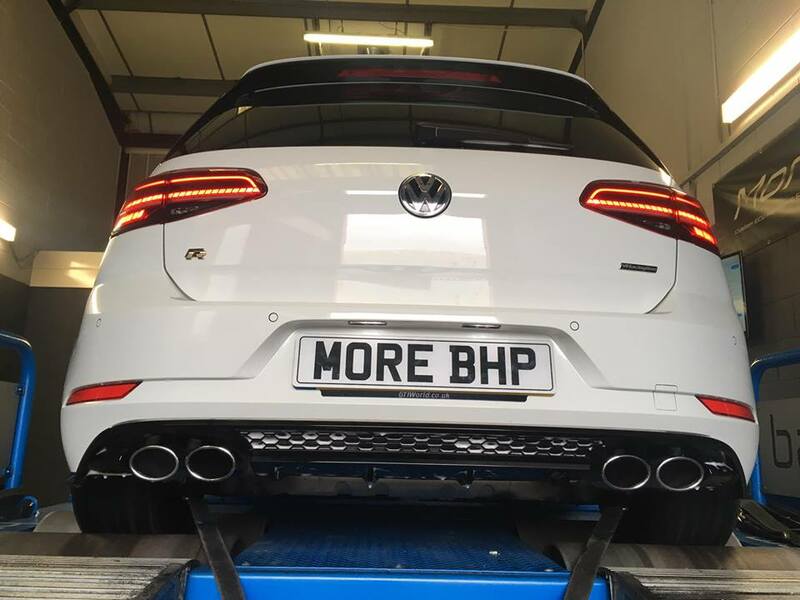 Here at MoreBHP we have well developed and proven remap solutions for Stage 1, Stage 2, Stage 3 and Custom Remapping for any combination of stock or modified parts. We have software upgrades for many MQB EA888 TSI combinations but if you have something different then we'll just custom build the remap. Keeping the explanation simple you'll find the EA888 engine is 1.8TSI or 2.0TSI with three sizes of IHI turbo being the IS12, IS20 and IS38. The turbos are interchangeable across the board so for example if you have the MK7 GTI with the IS20 you can swap it out for the IS38 and yield significant increases in performance, so long as you have a really good remap to suit, something we have tried and tested. The video below is a Seat Leon Cupra being custom remapped to Stage 1 on the rolling road. There are some other exceptions too, there is an Ibiza FR and a Polo GTI equipped with the EA888 1.8TSI engine and the IS12 turbo but not part of the MQB platform. We have tried and tested custom Stage 3 remaps for the Ibiza and Polo 1.8TSI 180 that have the IS38 from the Golf R and we have seen them make up to 380bhp! Then on top of those sort of tuning possibilities you can make hybrid versions of the IHI IS20 and IS38 turbos. You'll find many offerings from Snail Turbo's IS38-CBB to The Turbo Engineers TTExxx. One of our projects at MoreBHP Taiwan, a MK7 Golf GTI DSG with the Snail Turbo IS38-CBB and other supporting hardware mods made 100-200km/h in just 6.14 seconds, that is fast! We shouldn't forget that the DSG or S-Tronic gearbox is an important part of the MQB and EA888 tuning. 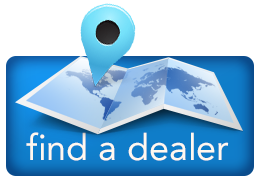 To make the most from any of the engine remaps then the TCU should also be remapped. This allows higher torque limits, increased clutch clamping force (for some applications), higher rev limits, more control in manual mode and faster gear changes. At MoreBHP we offer Stage 1, Stage 2 and Stage 3 DSG/S-Tronic TCU gearbox remaps. So you've completed your MQB EA888 build, you've picked and fitted the turbo, the downpipe and exhaust are done, the intake is sorted - What next? You need someone choose a company to make the remap. This is where MoreBHP come in. Although seeing big figures is exciting for everyone there is a little more to it than that. At MoreBHP we believe, and are passionate about this belief, that a car must deliver perfectly and be as fast as possible. To achieve this the remap must be carefully constructed to work with the ECU and engine components, keeping everything happy so turbo boost is maintained (and at sensible levels), the throttle stays open, with timing absolutely perfected. Get it right, like MoreBHP do, and the car will be exhilerating in every way and will surprise many poorly programmed conversions. Some might argue that large amount of power and torque available is a waste on the FWD cars as you won't be able to put it down in the lower gears due to traction issues. To combat this we have developed our own version of wheel spin control which we call 'Torque by Gear'. We can tailor the amount of torque to suit the gear and torque available for each combination used which makes a massive difference to maintaing traction and vastly improves acceleration. Another consideration, and this is an important one, is fuel quality. We recommend 99RON as the minimum which is available as Tesco Momentum 99 or Shell V-Power 99. For the extremists, the number hunters, the speed obsessed we have also developed solutions to allow the use of octane booster such as 5% Methanol. We have seen the octane booster and custom booster remap add 30-40bhp. Our own MK7.5 Golf R with just a full VW Racing Line R600 intake and octane booster makes 402bhp! Of course you need to make the commitment to running the octane booster all the time. Then there are the other fun bits like the speed limiter being removed for the Nurburgring trip or private road testing. We've also developed enhanced overun burbles and pops and bangs for many applications. Watch the following remapped Golf MK7 GTI video to the end.